In Tau Station, when you have started combat, you may decide it isn’t going well and attempt to flee. The logic is pretty simple. 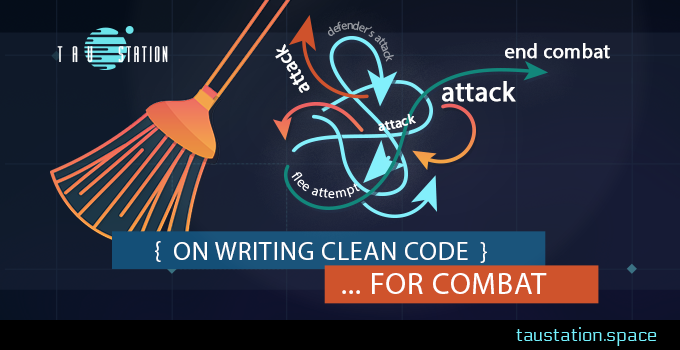 reason    => "attacker died on defender's bonus attack"
reason    => "attacker fled straight into security"
reason    => "attacker was too slow to get away"
This has all of the problems we’ve mentioned in the previous article about cleaning up code. It’s messy, and doing a lot of cross cutting things. # Now we give the defender a chance to flee. That’s better, but still not great. We have a lot of boiler plate in there because a lot of checks happen the same for every step in combat. We have a lot of duplication of code too still, because actions we want to perform for the attacker we also want to perform for the defender. This is where higher order programming comes in. Higher-Order Perl is about functional programming techniques in Perl. It’s about how to write functions that can modify and manufacture other functions. This is something that is much easier to read and follow, and assuming that each step does exactly what we think, easier to make sure that the underlying logic is correct. Which is all we can really hope for.